For the month of April HiiH Lights transforms Roll-Up’s 3000-square-foot warehouse studio into a forest of light with their handmade paper pendants, sconces and lanterns. HiiH (pronounced “hi hi”) is a longtime Portland design team now based in Astoria. 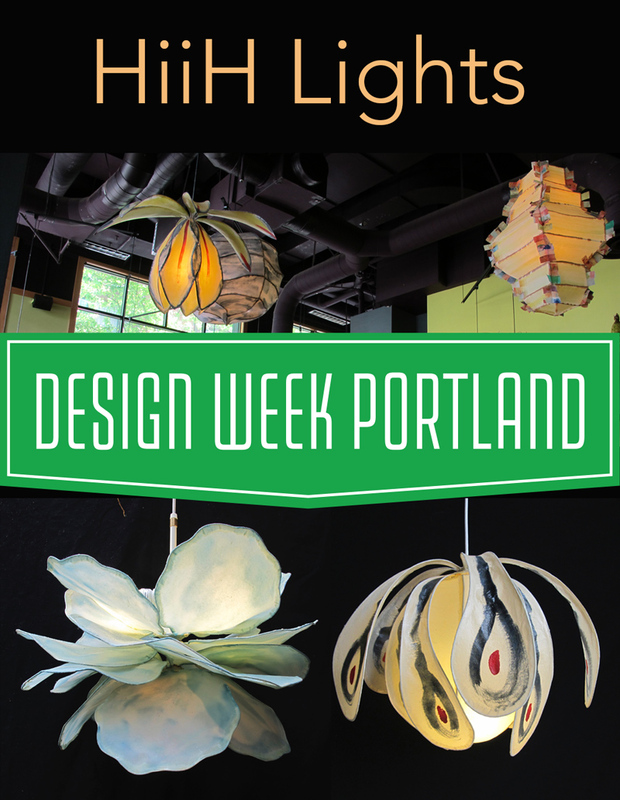 HiiH’s sculptural fixtures will be complemented by a gallery exhibition of eleven Pacific Northwest artists working on and with paper in printmaking, encaustic, mixed media, letterpress, collage, painting, calligraphy and drawing.